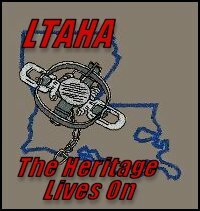 The LTAHA is hosting our first Trappers Instructors class on October 27, 2018, beginning at 6 am, at the LWDF rifle rang in Woodworth LA. There will be overnight bunking at the Woodworth education center for anyone who would like to come the night before. Meals will be provided according to RSVP. The instructor classes will last approximately six hours, ending at approximately 2 pm. However we will end early or stay late as needed. Please RSVP so we have enough manuals on hand for all instructors. Note: The goal of this class is not to teach you how we want you to trap, but rather to get all instructors teaching beginners the same information: ethical, legal, trapping with the proper equipment and simple, successful techniques. For more information please contact Tony Howard at 318-423-7860 or email at mahoward@centurytel.net. For RSVP please contact Tanya Sturman at 318-487-5885 (office), 318-581-1828 (call or text) or tsturman@wlf.la.gov. Bring your own toiletries, towels, and bedding. 10:45 Instructor presentation and time management. The LTAHA partnered with LDWF two years ago to develop a free voluntary hands-on trappers education program within the state, and since that time the program has taken off by leaps and bounds. We have ten workshops scheduled for the remainder of 2018-March 2019. With this many work shops strategically located around the state, it is impossible for the current instructor staff to handle them all. It is now time to call for more volunteers to help instruct at the up-coming workshops.